From the ocean at the northside of Kyushu island, surrounded by Genkai sea, 「Iki」island is a small island with 17km length and 15km wide. 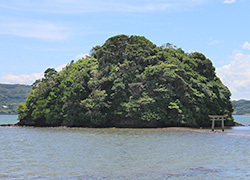 Despite of this size, the island has 1000 shrines which is the highest density of god in Japan. 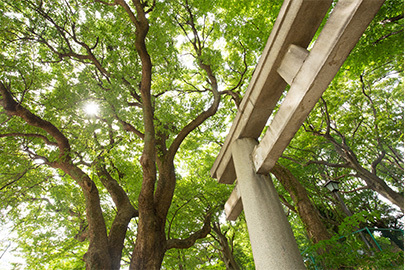 Ancient Japanese believed that god stays in nature and marked the place they felt god the "holy place". Those place later became shrine. Because the enshrined places in 「Iki」reach more than 1000, you will be overwhelmed by the power of the island the moment you step in it. Also, the Iki island was approved for its historical charm and was enacted as Japan's heritage in 2015. Such a moment is awaiting for you. This is the pickup recommended for tourists who want to have fun while enjoying sightseeing in popular signatured spot. 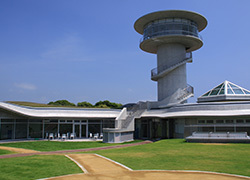 From No.1 spot 「Rocky shore」to 「Dolphin park」where you enjoy Dolphin's trick show, or looking at exhibition of ancient Japan in 「Ikioku Museum」can be fully enjoyable. The 3-generation family trip or group trip, people from a wide range of ages can have fun. 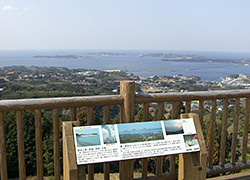 From Iki's highest altitude 「Takeshi Tsuji (212.8m)」observatory stand, tourist can see Gonoura street, Watarase Mishima, Tsushima's island sihoulette, etc. The place that tells stories of ancient Japan in Iki island. The excavation stimulated experience 「Kids Archeology Research」is also popular to kids. Iki's Mont-Saint-Michel, is a shrine which only appears in low tide. A holy place that won't forgive for taking anything to the outside, is a attention spot. 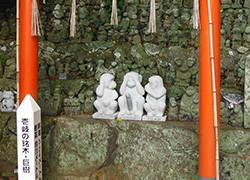 A place to worship Sarutahi Konomikoto god, which prayer has a custom of dedicating stone monkey. The sides along the hall lines with more than 200 figures of stone monkey. 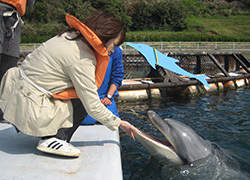 The park re-made from a natural cove provides a healing time with dolphine. There are also other very-popular play quipments for kids. A basalt that looks like a look-away monkey is completely made from nature. Lots of people are surprised by its naturalness. Iki's No.1 Popular Spot. The Makizaki Park is a popular spot for its gorilla's laughing sound-alike windsound and big imprint that look like big demon's footprints. A breath-taking beautiful emerald green ocean. 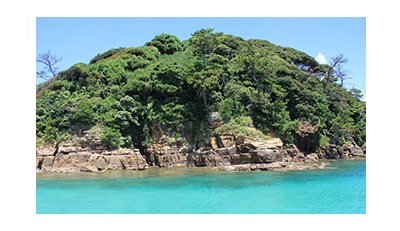 Tatsunoshima is located in nothern tip of Iki, from Katsumoto port to this uninhabitated island is 2km to Northwest. During Mar～Oct. cruises operation, sea palace, mamoth rock, turban shell rock can be seen. This place is popular to young people. 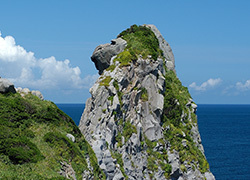 Anywhere in Japan's highest density level of god island 「Iki」can be a power spot. Among them, 「Iki's 7 shrine」 is taken care carefully since it received lord Hirado's special reverend. 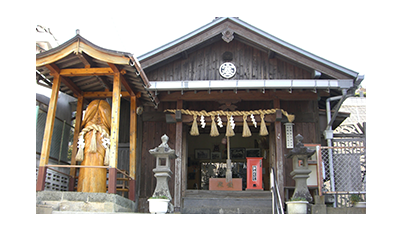 By taking a tour to those 7 shrines, Iki's Monc-St-Michel 「Koshima shrine」and other power spot, be ready for your body and mind be healed. Recommend for date or girl's trip. 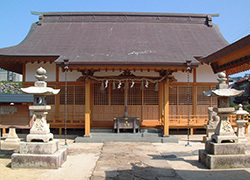 One part of Iki'7 shrine.It said that this shrine was transfered from 7th year of emperor Kanmu (year 788). The gains were safe from tide, safe transportation, safe delivery, marriage tide. Iki'7 shrine 2nd part. 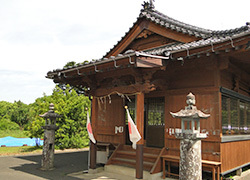 It was build during Nara period with more than 1200 years of history. The gains are safe delivery, child expect, big catch of fish, victory, amulet. 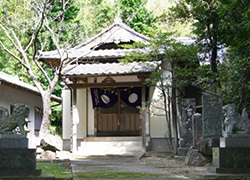 Iki'7 shrine 3rd part which keeps many gods started from weather god of Tsukiyomi shrine. The gains are safe sailing, big catch of fish, prosperous business, marriage, pregnancy. Iki'7 shrine 4th part. There are 3 small Torii gates, prayers will pray while pass by them. The gains are luck amulet, good harvest, longivity, study. Iki's 7 shrine 5th part.The only place with national protection, hence "sugarcane". The gains are good sailing, prosperous business, attainments, marriage, pregnancy, etc. Iki's 7 shrine 6th part. Originally 「Kou」came from 「Kokufu」which means province offices. The gains are safe delivery, fortune, family safe. Iki's Monc-Saint-Michel. It's the shrine that can only be seen in low tide. A holy place that won't forgive for taking out anything from it. An attention power spot. Iki's 7 shrine last part. 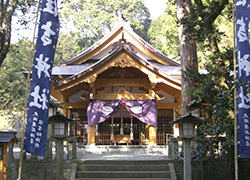 Lord Hiradou dedicated for this shrine 3 Rokkasen paintings. The gains are good crops, safe tide, good marriage match, luck amulet. Near Iki View Hotel, there is 「Sai shrine」which was appeared in Japan Chronicles book.It also enshrined 「Sarumenokimi」given by Sarutahiko's wife. Eventhough it's a small shrine, it has female god looking over so marriage, couple's harmony, safe delivery or child-related pray are popular. 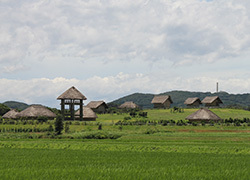 From Joumon period, people started habitating in Iki island. 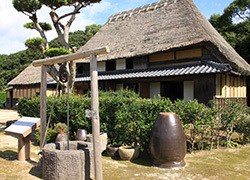 There are many ancient documents about ancient Japan on the island that helps creating its historical charm. 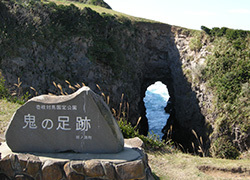 Thanks to this, the island was enacted as Japan's national heritage. Besides, there are a lot of tourists come to see numorous numbers of historical building or artifacts. 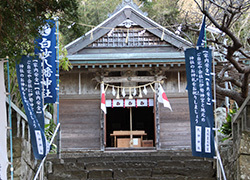 Please enjoy the protection of 1000 shrine while taking a trip to history of Japan. It's also recommendable to married couple who wants an easy leisure trip. Full of ancient documents about ancient Japan. Excavation stimulated experience 「Kid's Institute of Archaeology」is popular to kids. A large scale ruins that was originally from 2-3 B.C to 3-4 A.D. It's the 3rd national historic sites from Yayoi era. 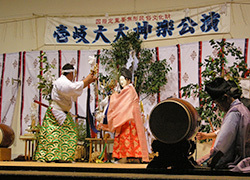 Ikigakura is the old tradition and historical god-worshipping dance. It is national important intangible folk cultural heritage. This dance will be dedicated to god in December. 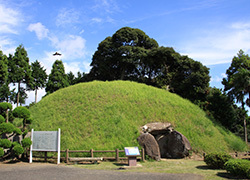 The burial mound is elevated 100m on the hill. The coffin was built in drilled type only in Iki island. This is national historic site. 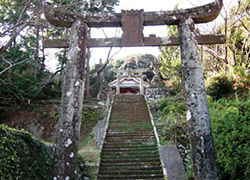 You can take a historical walk around Kakeki ancient tomb, Lily field mounds, Sasazuka mound, and Namaike Castle. 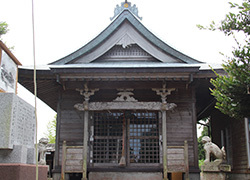 There are also restored ancient house from Edo period. 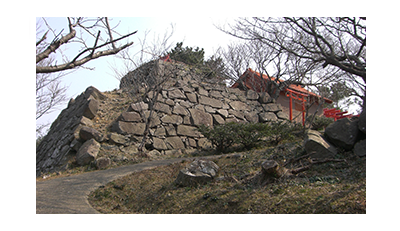 Perfectly made from nature, the Saruiwa cliff looks almost like a stone monkey, and it marked an armed battle in Kurosaki battery ruins. In year 1591 (Tensho 19),Toyotomi Hideyoshi built the castle as a logistic base. Now, only the shapes of 1st-2nd gate and stone wall are left. This is also national historic site, a place overflows with history. The outskirt area is Shiroyama Park that you can see Katsumoto port from the castle.